Libidex makes a wide range of latex clothing for men, and in fact offers one of the best collections of latex garments for males, whether gay or straight. 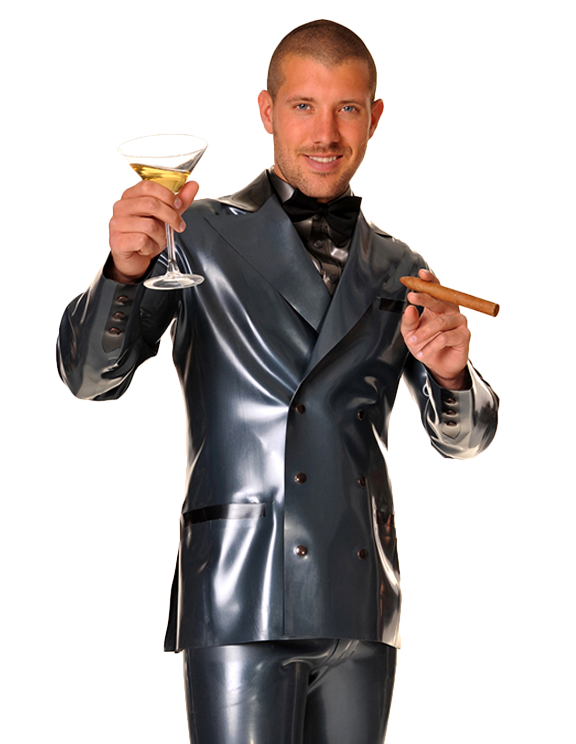 From the skimpiest of Jockstraps or G-Strings to a full tailcoat outfit, complete with dress shirt, the Libidex collection for men runs the full gamut of latex styles, offering latex hoods, shirts, tops and vests, jackets and suits, trousers, chaps, aprons and kilts, shorts and briefs, and even braces and ties! Everything is carefully tailored, offering lots of exciting twists and details to spice up these classic designs. Very few other latex designers provide quite the selection and choice you’ll find here!